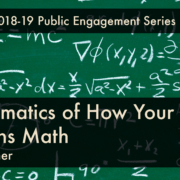 Chelsea School presents Dr. Richard Prather on October 25, 2018, at 7pm discussing his research on the cognitive processes involved in number and mathematical tasks, with the goal of improving children’s understanding of mathematics. Please join us for the first in our 2018-19 series of public engagement events aimed at strengthening our community’s knowledge of learning disabilities. Speakers, along with Chelsea School staff, will be available for a question and answer session following each presentation. This event is FREE and open to the public. For directions or to RSVP (encouraged), please contact information@chelseaschool.edu or call 240-467-2100. Save the Date! April 14, 2018. Students, staff, and families will have the opportunity to raise awareness for learning differences and money for our school! More information and invitations coming soon. Contact chelseapto1@gmail.com to volunteer or for other ways to help out! It’s coming! 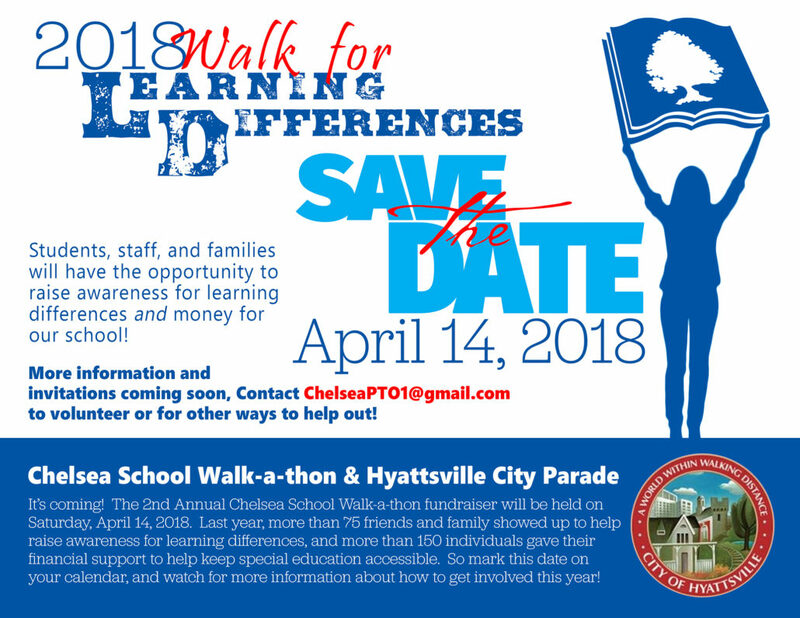 The 2nd Annual Chelsea School Walk-a-thon fundraiser will be held on Saturday, April 14, 2018. Last year more than 75 friends and family showed up to help raise awareness for learning differences, and more than 150 individuals gave their financial support to help keep special education accessible. So mark this date on your calendar, and watch for more information about how to get involved this year!